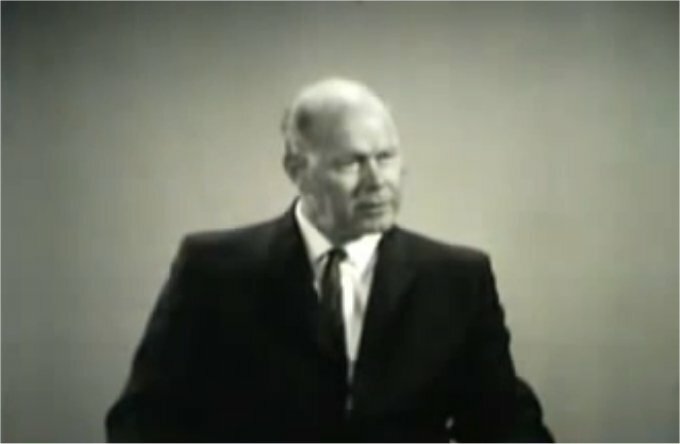 George Van Tassel talks about his personal UFO extraterrestrial encounters along with technologies in the 1960’s that are very similar to HAARP. Van Tassel adds that the ET’s are walking amongst us right now. In 1952, over a week before the events of the 1952 Washington D.C. UFO incident George-Van-Tassel notified the US air force, Los Angeles Herald-Examiner and the Life (magazine) of the future events of the 1952 Washington D.C. UFO incident via registered letters. This event was witnessed by thousands of people in and around the Washington D.C. area. It is one of the most publicized sightings to have ever taken place. In the said letters he informed the US air force, Los Angeles Herald-Examiner and the Life (magazine) that space craft were going to fly over Washington D.C. before the end of the month. The events occurred over a week later. I Rode A Flying Saucer – George Van Tassel – Zooming across the skies and vanishing into outer space, the Flying Saucers present one of the most intriguing puzzles ever to face mankind. In view of the wide-spread interest in the Flying Saucers we believe Mr. Van Tassel s solution to the mystery is most timely and intriguing. Coming as it does from a man with the careful good judgmat of a flight test engineer, it warrants the most serious consideration. We have found Mr, Van Tassel to be a man of exceptional ability and vision. Although some scientists hold that Flying Saucers may be due to natural phenomena and others maintain them to be of Russian or American manufacture, the greater number of scientists and laymen believe them to originate in other worlds than ours; that they are visitors from outer space. And why not? Are our scientists not planning to go to the moon in the near future? At any rate here is an intelligent account of a most unusual experience. Is the fate of. humanity threatened? Do the “saucer beings” have the answer? Will the destructive genius of man find its master in beings from outer space?